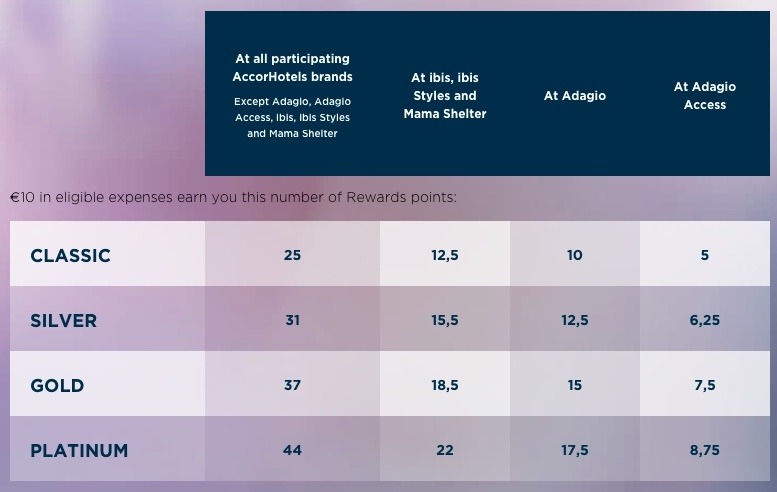 AccorHotels have announced a new promotion through which Le Club members can earn 7,500 bonus points after three stays at participating properties. You can join the program for free and then transfer these points to Qantas or Velocity at a 1:1 ratio, with a full explanation of the transfer process later in this guide. Each stay at an AccorHotels property has to be a minimum of two nights. Plus, you will earn 500 extra Rewards points for every stay booked before 12 February. 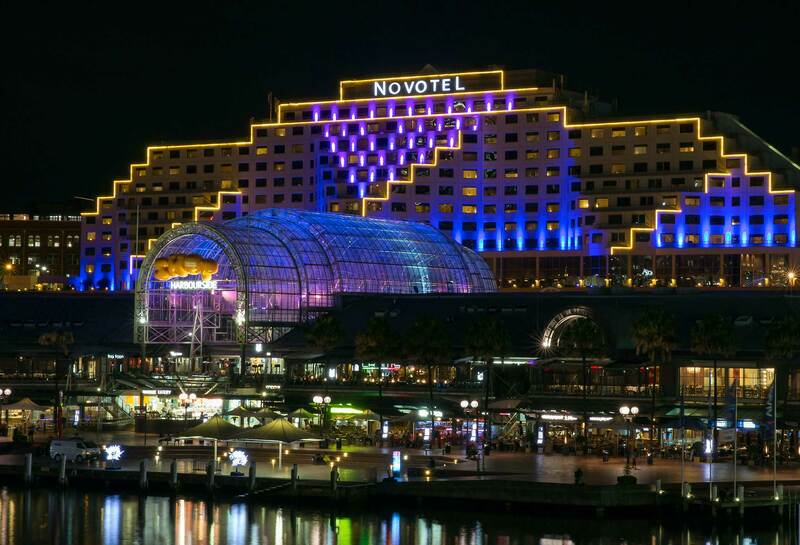 You could book a stay at a property like the Novotel Sydney on Darling Harbour. 2,000 Rewards points are equal to 40 EUR (~AU$63) when redeemed towards stays at AccorHotels properties. This is a nifty amount to effectively ‘earn back’ after eligible stays. However, these points can also be redeemed at a 1:1 ratio with Qantas Frequent Flyer and Virgin Velocity, with our valuation putting that at $120. Just note the minimum transfer amounts listed later in this guide. AccorHotels have an extensive footprint in Australia, so this offer should be quite easy to take advantage of if you have domestic (or even international) travel planned in the coming months. You can either use these points for a discount on future stays, or for a transfer to one of their many frequent flyer partners (recommended option). When looking to accrue more points, programs such as the Accor Hotels Le Club loyalty program are a useful major points currency to consider if you have an affinity for staying in hotels that are a part of the ever-expanding AccorHotels group. This guide gets into the guts of the program, including hotel locations, how to get free status, stay benefits, and key redemption opportunities. Accor have a large presence in the Australian and New Zealand market, and have over 4,200 hotels in 95 countries worldwide, providing accommodation in some of the most popular business destinations across the globe. The group includes a range of brands such as Raffles, Fairmont, Swissotel, Banyan Tree, Angsana, Cassia, Sofitel, Novotel, Mercure, Grand Mercure, The Sebel, Ibis, MGallery, Adagio and Pullman. The Mantra, Art Series, Peppers and BreakFree brands are currently being folded into the group. AccorHotels offer four status tiers in the following order (from lowest to highest): Classic, Silver, Gold, and Platinum. You can find more information about the status tiers and benefits on the AccorHotels website. Here is an overview of the benefits for each status level. You’ll receive complimentary Silver status if you become an Accor Plus member. You’ll receive complimentary Gold status if you become an ibis Business Card member. You may receive complimentary Platinum status if you become an Accor Plus member through your American Express Platinum Charge card. AccorHotels have varying earn rates at their different property brands, making it a bit confusing to calculate how many points you’ll earn. They also base their earn rate on the amount you spend, converted to euros. They do have a calculator that you can use, which makes it a bit easier to work out exactly how much you’ll earn for your spend at any given property. Many of the offers above are ‘one-time’ only, so make sure you look at offers with different programs first to make sure you’re picking the one that offers you the points you need. AccorHotels offer a variety of ways in which you can use your points. The most obvious is using your points on future stays. You can redeem 2,000 Rewards points for 40 euros (~$65 AUD) of credit to spend at participating AccorHotels properties. Most of these redemptions are poor value, though if you are a road warrior and prefer to experience other things in life than more hotel stays, using your points for any of these would make perfect sense. Frequent flyer transfers are explained further below. Should I transfer Le Club points to frequent flyer programs? As a general rule of thumb, points earned through hotel rewards programs are best kept and used towards future hotel stays. This is where you maximise their value. Rewards points have a value of approximately AUD 3.3 cents each when used for credit to spend at Le Club AccorHotels properties. This should always serve as your value baseline when deciding whether to transfer to a frequent flyer program. You can read more about how we value points here. If you want to use the points towards a flight redemption, the general rule is 4,000 Rewards points transfer to 2,000 miles. This means you’re effectively ‘spending’ 6.6 cents on every mile. You’d have to be doing very well with your flight redemptions to be getting that much value from each mile. Why preference Qantas and Velocity? There are some exceptions, with Qantas and Velocity being the two most applicable to Australians where points are converted more favourably—1 Le Club AccorHotels point equals 1 Qantas or Velocity Frequent Flyer point. This means you’re ‘spending’ a far more favourable amount per point – only 3.3 cents. While we generally only value these points at around 2 cents each, you’ll be more likely to find redemptions where you’ll get much more bang for your buck, compared to those programs where the ratio is 2:1. Le Club AccorHotels offers the option of transferring your points to any of their partner frequent flyer programs. To transfer your points from Le Club AccorHotels to the frequent flyer program of your choice, you can either do it yourself when you reach the minimum threshold or set up an automatic transfer (not available for Velocity). With manual transfer, you need to log in, and then transfer the points once you reach the minimum transfer amount, and you need to use or transfer the points within 12 months. There are ways around this though—for Qantas Points, you only require 1 Le Club point in your account to enable auto-transfer; for Asia Miles and KrisFlyer, it’s 2 points. So, to get around the manual transfer minimum generally needed for frequent flyer programs, you can select automatic transfer over to these three programs, which is a great win. Once you change your preference to auto-transfer, all existing points in your account will transfer upon completion of your next stay. You can accrue as little as 1 or 2 points and they will still be automatically transferred. This is a good option for those who don’t think that they’ll accrue the minimum 2,000 points to use towards a future hotel stay, which is generally where you’ll get better value per point. You can also set up an auto transfer for MileagePlus miles but this will only kick in once your account reaches 2,000 points – the same number you need for a manual transfer. So not as much benefit as the programs above. Unfortunately, the automatic transfer option without a minimum points balance is not available for Velocity members; if converting your points to Velocity, you need to accrue 4,000 points to do so. For more information, check the short general terms and conditions related to airline company partners of the Le Club AccorHotels loyalty program. You can access a full list of current offers here. Summing up: what is the best value? The best value option between keeping your points in Le Club AccorHotels compared to transferring to frequent flyer programs is dependent on your personal circumstances, as always — and especially in this case how many Le Club points you have, are likely to earn, and where you want to transfer them due to Accor’s transfer limits. I stay at AccorHotels properties quite frequently, and therefore keep my points in the AccorHotels program until I know exactly what I want to do with them. They’ll never expire as long as you earn points at least once per year. This way, it effectively functions as an excellent flexible points program. Though for those people who don’t stay at hotels regularly, I would be inclined to recommend transferring the points to frequent flyer programs, and learning how to get the best value for their use. I tried registering for the offer just a minute back and it seems to have expired . Thanks for letting us know. Registration link has been updated in the post for you to try again. Just a small caution here: I have Platinum status with Accor, and have found their bonus points offers notoriously difficult to obtain. Even after meeting all the criteria, I’ve had to send dozens of emails, with screenshots, to obtain the points in my account. ‘Le Club’ customer service are a pain to deal with, as opposed to Accor hotels which I’ve always had great experiences with. 1. Make sure you register before booking. Take a screenshot of the offer terms, as they will disappear from the website later. Especially note the offer ID. Take another screenshot of the website confirming your registration – make sure that screenshot has a date and time. 2. Make sure you book through the Accor website, logged in under your membership number. If you book through another means you may not earn any points for your stay. Make sure you record both ‘when you booked’ and ‘when/where you stayed’. It can be hard to assemble this information later to prove you are eligible for the offer. 3. Do check the other big hotel booking engines aren’t showing a better price. While Accor have a ‘lowest price guarantee’, again, it will be very hard to get Accor refund the difference, so you definitely need screenshots from both websites – showing date/time and an identical room. 4. At the hotel, produce your member card and ask them to confirm your number is recorded against the booking. 5. If the automatic bonus process doesn’t work within a week (it usually didn’t for me) expect to spend time dealing with a slow and painful customer service centre via email over the course of weeks or months. 6. The good news is that once you do get your points, there is no argument there: it’s straightforward to redeem them online for hotel bookings via the website. I have not tried transferring points to other loyalty programs so can’t comment there. Best of luck! i have 3693 Accor points, ( silver ) How many nights stay is this if any ? Shame because Iberia was a great option! The Iberia option is no longer working sadly. Not tried this for a while but it worked around 18 months ago. I got the error message “The given promotion code is not usable anymore” when I tried to login via the AirBerlin site. Any other theories on how to make this happen (apart from maybe stay at a hotel!)? From my understanding in the terms and conditions linked to in the article, the automatic transfer needs to be in place first and once it is as little as 1 point can be automatically transferred. I would suggest contacting them about your specific situation. 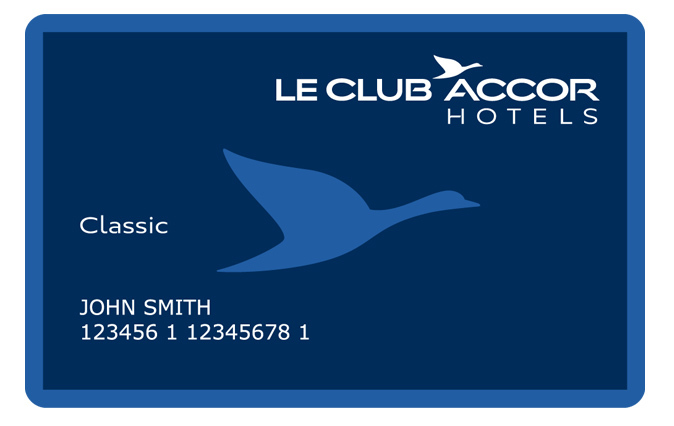 You have requested that your Le Club Accorhotels points be automatically converted into air miles. account as soon as you reach a total of 2,000 Le Club Accorhotels points. My balance is 1,100 points (from a recent promotion). I thought I only needed 1 point for it to transfer across, or have the rules changed recently? Or… is the order important here. Do you need to make sure you have the auto-transfer in place before you accrue that “1 point”? In that case, I’m snookered, I think.